More than 2 million passengers board 30,000 flights every day in the United States. They are the people we stand behind in line, the people we roll our eyes at for fumbling with their belt before walking through the scanner, the people we squirm to avoid bumping arms with during flight. And once in a blue moon, the people we reach out and touch: the veil of mystery momentarily lifted, they become real. Packed tightly onto an Airbus A319, we waited at the gate in D.C. as the minutes ticked by and our flight time came and went. When I woke up an hour later I found, to my dismay, we were not yet on the ground in Boston…we hadn’t even taxied to the runway. After an hour and a half delay we lifted off, finally beginning our hour-long shuttle between the two cities: business people, politicians, and tourists alike headed north. We had just come off our own whirlwind vacation to D.C., the first time since eighth grade my mom got to be a tourist instead of attending meetings and holing up in a hotel room for work. When the drink cart came by, she wasted no time. Positioned forward in our compact, leather seats, we didn’t see anyone else on the plane for the hour we were in the air, but when we landed in Boston and stopped just short of the gate, we could hear them all groan. After a nearly two-hour delay in D.C., it was torture to stare longingly at the gate just a few feet away. When we finally pulled forward 30 minutes later, all passengers simultaneously unlatched their seat belts in the hollow clinking of a metal symphony, leaping to their feet and unloading cargo from above. Bags in hand, we couldn’t help but overhear the women talking in the aisle next to us–just two of 2 million strangers. The women’s eyes filled with steely determination as a voice over the PA system announced that the international flight leaving from Terminal E was holding for the rest of their passengers, but they wouldn’t wait long. Their eyes darted to one another and then to the back of the plane. Oh, yes you will. I could almost hear my mom think out loud, now filled with a tiny wine bottle of liquid courage. 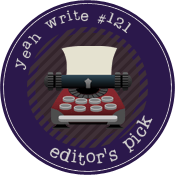 The passengers reluctantly parted ways to let the man in teal through, their eyes stinging as they silently fumed at being cut in line, like children in a school cafeteria. The women smiled and thanked her before rushing off down the aisle to their flight. “I wonder where they were going,” my mom wondered after them. No longer just faces in a sea of 2 million, I wondered the same as their figures disappeared down the hallway. 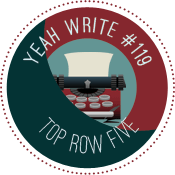 This post is brought to you by yeah write’s inspired weekly challenges. Check out the other talented writers from this community sharing their stories on the grid this week. You won’t be disappointed! Tags: airplane, dc, narrative, travel, washington, yeah write. Bookmark the permalink. Your mom rocks! She is exactly what situations like that need – someone to speak up and ask a simple favor of a room full of people that can make all the difference to someone. She made Boston proud! Absolutely! In the moment, we weren’t really sure what she was going to do, but you’re completely right–it’s what the situation called for! I’m smiling. I was right there with you, trying to catch the plane. It’s so nice when we break free of the anonymity and help each other out, isn’t it? It certainly is! I feel the same way driving on the highway, so many people pass you by. It’s nice when you have the opportunity to talk to someone you might not have otherwise. Thanks so much for stopping by and commenting! I can’t take full credit for the title. My dad made a joke about it after the incident, it was too perfect an opportunity to pass up. I love how you set this up, giving us in words the experience of being in a crowd at the mercy of a system out of our personal control. You had me when your mom said, “I can’t wait!” You brought the personal right into the story. Your mom is the hero here, willing to be excited about travel when it is often a chore, and willing to stick herself into other people’s business, and then willing to make a difference despite the crowd not really wanting to be a part of it too. A fantastic read. I truly enjoyed it! Thanks so much for your thoughtful comment! It is too bad the other passengers were a little soured by all the delays–they missed a great opportunity to connect. I’m glad you enjoyed reading it! I’m totally your mom: bubbly, yet kinda unpredictable once the drink cart has made its way to my seat. 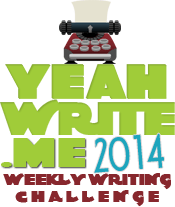 Thank you for joining us this week at yeah write. Happy to! I discovered the site about a week ago and have been hooked ever since. I’m slowly working my way through the 31DBB and I’ve been having a blast reading posts from the community. Glad to hear you connect with my mom-your description is very apt! How great of your mom! I loved how she named him “teal guy.” My kids would kill me if I did something like that, but then I am not really a take-charge kind of person anyway. i love how you pushed the veil of anonymity aside and made strangers real. your mom is funny! I totally love your mom….and I don’t even know her! Glad to hear it! It was a proud moment, for sure. Go, Mom, Go! I love it when relative strangers show a little courtesy to one another, especially when airplane stress is involved. You know, more often than not, I’m pleasantly surprised by people. And that makes me happy all the way down to the cockles of my heart. Great post! Thank you kindly! Airplane stress certainly adds an extra dimension to this tale, but like you said people surprise you–and often. I love when I oversee moments like this and it was so exciting coming from my own mother. Yay for your Mom. I LOVE it when somebody stands up and does the unpopular but VERY right thing. It was definitely unpopular in that plane at that moment, but you’re right–someone’s got to do it! Yay for moms! Oh man, those minutes before you can undo your seatbelt and get out of the plane always feel so claustrophobic. It was so nice of your mom to get people to do the right thing so the other passengers could catch their next flight! Somehow time seems to go slower in those few minutes than it does the entire flight–you’re right! Kellie and I travel a lot. Sometimes, when we’re walking past strangers, I wonder why our paths have intersected. Had they ever crossed before? Will they ever cross again? That’s one of those awesome moments! Usually they only happen in movies, because in real life, we stay in our stranger bubbles and don’t interact. I love that your mom became teal shirt’s champion. 🙂 This was lovely and funny. Thanks! It is like a scene out of a movie, isn’t it? Spielberg can thank me later haha. Yikes! I commented yesterday, but it must’ve gotten eaten…anyway…such a great story. Love how your mom put forth such a simple solution that had such a huge impact helping someone out! 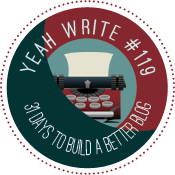 That happens sometimes–sorry my site are your words! You’re right it really was such a simple solution! I’m glad that your mom had that dose of courage and stood up to help someone. Good on her! Is it just wonderful when we act enjoy acts of kindness from a total stranger? I never new so many people fly daily in the US! Thanks for sharing! I didn’t either when I started this article, but I thought it’d put the story in some perspective. It’s incredible, really. Thanks for stopping by!